As an RVer, you know exactly what that smell is…but do you know where it’s coming from? Maybe a neighbor is “dealing a royal flush”…or maybe, just maybe, it’s emanating from your RV unbeknownst to you! 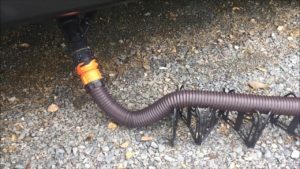 Today, I will be discussing a real stinker of a topic: RV sewer hose solutions. Many in the RV industry, including veteran RVers, dealerships and service centers, will tell you to keep black tank valves closed and gray tank valves open while you are using your RV. In my opinion, this is flawed logic and may lead to unwelcome sewer gas smells emanating from your RV, not to mention, the possibility of unwanted sewer flies that tend to breed in the sewer system at RV parks and campgrounds. 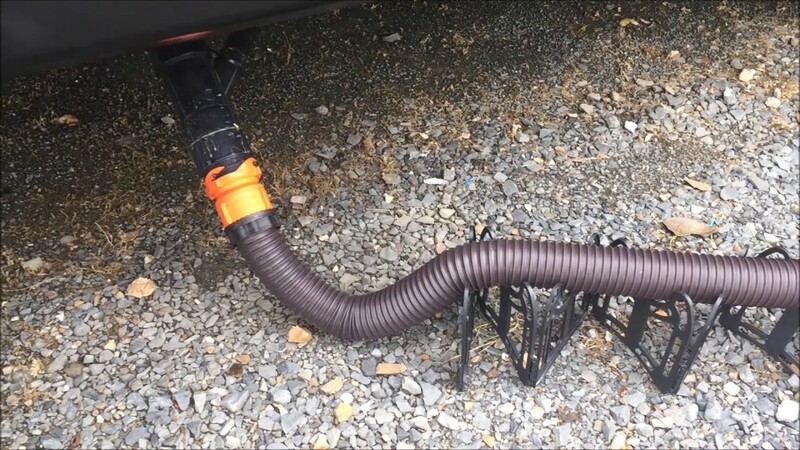 Point 1: If your RV sewer hose is connected to the site sewer, with the correct downward pitch from your RV to allow for proper drainage, and your gray tank valve on your RV is open, then we can assume that your gray tank is empty. Point 2: Your black and gray tanks aboard your RV all have vent tubes that run from the tank through the roof of your RV. Add these two points together and you end up sewer gas odors from the sewer dump at your site having unobstructed access through your correctly pitched sewer hose, through your empty gray tank, through the vent tube and to the outside air above your RV. These smells drift down over your RV and waft around you and your neighbors RV sites. Choose either of these RV sewer hose solutions and your neighbors will appreciate the fresh air!